A video showing an Israeli soldier captured more than three-years-ago was released after Israel let 19 female Palestinian prisoners go free. 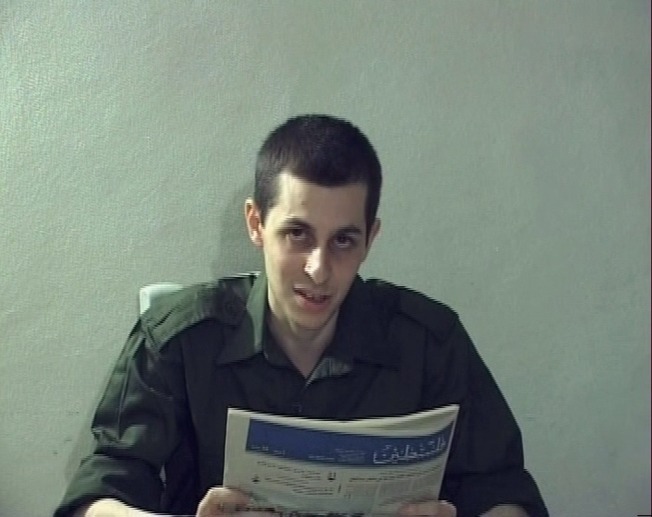 “I wish to send regards to my family and say to them that I love and miss them and yearn for the day in which I will see them again,” Gilad Shalit said in the video. The footage, released on Oct. 2, showed Shalit seated in a chair holding a newspaper dated Sept. 14. He said he was in good health and his captors were treating him well, according to the BBC. Shalit also encouraged Israeli Prime Minister Benjamin Netanyahu to engage in negotiations to set him free. “I hope the current government headed by Benjamin Netanyahu will not waste this opportunity to finalize the deal and that as a result I will finally be able to realize my dream and be released,” he said. Shalit was captured in a cross-border raid in June 2006, leaving four dead and four wounded. Suffering from a shoulder wound and a broken wrist, he was dragged back to the Palestinian side of the Gaza Strip by Palestinian resistance fighters. Over Shalit’s three-year imprisonment, his captors only allowed him to send three letters to his family to confirm he was alive. This video marks the first time Shalit has been seen by his family since his capture. Praising the 19 female prisoners released by Israel, Hamas Prime Minister Ismail Haniyeh said it was a victory for the Palestinian resistance factions that captured Shalit, according to Ynetnews.com.